Now, I don't mean to sound harsh. But anyone who thinks she can wear the same fragrance year-round definitely has not done her homework. While I'll grant that there are perfumes that I wear in winter and summer (Ralph Lauren Romance, anyone? ), I definitely think it's fun to mix it up and find lighter fragrances to wear just for the warmer months. Let's face it -- chocolate and amber just don't sound as good in 95 degree heat as lilac and lily, do they? And while the search for a signature scent could literally drag on for a beauty chick's entire life, it's certainly fun to test out tons of them along the way. Heck, you might even discover a few favorites worth keeping around. Here are the ones I've got on deck this summer. The splashes retail for $65 each at Sephora.com. Now this is one worth displaying on the vanity! The bottle alone sold me on this one, fellow beauty chicks. 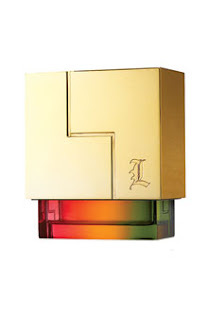 Interlocking L's make up a gleaming gold top that sits atop a bottle formulated with all the colors of the rainbow. And once opened, the fragrance certainly does not disappoint. A blend of floral and musky notes is surprisingly light and airy for a scent that claims to toe the line between masculine and feminine. A few spritzes on the pulse points and behind the ears make it last all day without becoming annoying or smelling so terrible that people next to you on the subway wonder what the heck you're wearing. Instead, you'll have people clamoring to get closer to that sultry scent. It's perfect for wearing on that hot date you've been looking forward to all week. Retails for $55 (for 1.7 oz.) or $70 (for 3.4 oz.) at Nordstrom.com. The ancient Japanese incense ceremony of Kohdo inspired the new Kohdo Wood Collection from Jo Malone, which involves the influence of emotions by the different nature of scents. While the collection is made up of two fragrances, including Dark Amber & Ginger Lily, I am definitely partial to Lotus Blossom & Water Lily. The latter is designed to wake the senses and energize the soul with its fresh, enticingly exotic mix of floral and spicy notes. 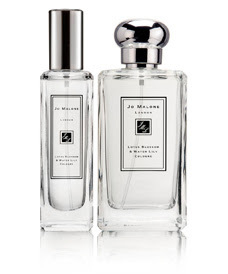 I love the bottle, which is alluringly simple in design -- the clear rectangular bottle is topped by a silver globe that sits ever so delicately amidst the delightful scent. 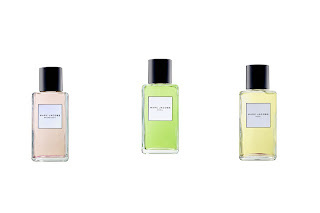 The fragrance retails for $50-$95, and while it seems to currently be sold out online (everywhere from Jo Malone's website to Neiman Marcus and Bergdorf Goodman were out of it), it should available at Jo Malone counters and stores (go to Jo Malone's website for store info). 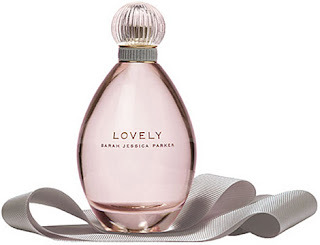 Hardly a new fragrance, but still one worth mentioning, Lovely Sarah Jessica Parker is an unexpected mix of glamour and grace that create an absolutely pleasing scent for summer. SJP's love of layering unexpected fragrances led her to create this scent, which is somehow exotic and sultry yet sophisticated and elegant all at once. Notes of lavender, orchid and amber combine with musk, paper whites and even apple martini -- so fitting, seeing as she revolutionized the cosmopolitan! Hey, if I can't get my hands on those blue satin Manolos she wears in the SATC movie, the least I can do is wear her fragrance all summer. It retails for $65 at Macys.com. Addicted to Dior? You might say that. 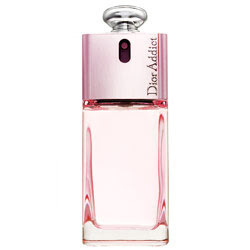 Or you might just say I'm addicted to Dior Addict Shine. Described as luminous, dazzling, and a reflection of designer John Galliano's style (a mix of ultra-feminine, sophisticated and full of impact), this fragrance does not disappoint. The succulent, juicy tang of raspberry comes through as soon as you spritz the fragrance onto your skin -- but rather than seeming young or sickly sweet, it feels grown-up somehow. Blended with a bouquet of citrusy cedrat, gardenia and cedar woods, it's the perfect scent to wear while shopping with your girlfriends on the weekends. And the bottle itself is totally ingenious -- the silver globe sitting at the top actually acts as the pump, so there's no need for a top or stopper! Leave it to Galliano to come up with his own spin on perfume bottles. It retails for $40-$73 at Sephora.com. how does romance smell on you? i sniffed it on a dear friend and it was heavenly. i bought it and wore it.. i smelled like a man! =( just strong masculine notes were popping up every where... i love the other fragrances! Jamie, what a lovely description of the fragrances. My chemistry dictates that I wear summer scents all year long. I have not tried any of these, so I will put them on my sniff list. Thanks. yummy411 -- I'm sorry to hear Romance didn't work so well for you. On me it's floral and light, really pretty -- definitely one that I get compliments on! Isn't it interesting how fragrances differ from person to person? girl-woman -- You'll definitely have to let me know what you think of these fragrances! I have a feeling you're going to love them.